Awesome Faculty Along with daily Answer Writing Practice.Optionals are also available.Mostly students join Sriram IAS after wasting their precious Attempts.I have just joined the batch and within 10 days , have been taught 1/3rd syllabus of Polity with Crystal Clarity.Moreover my batch strength is 155 only.Max:270In other institutions one could easily find more than 500 students.I recommend one can take admission here with full assurance. It is THE BEST coaching for upsc. Reliable and experienced faculty. Great study materials. Awesome teaching pattern. 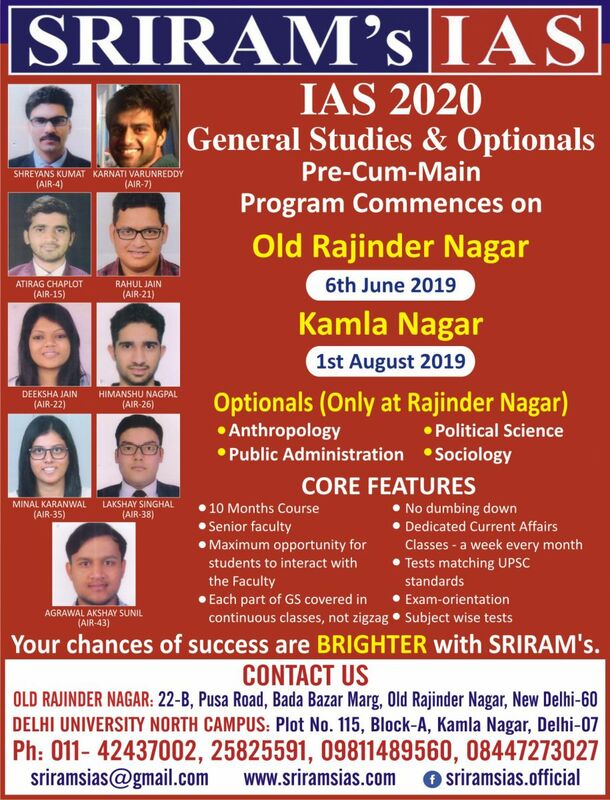 Best institution for the preparation of UPSC. Sriram Sir is truly a gem.He makes economics and polity a cakewalk. Thank you Sir for listening all the doubts and even answering them more patiently. I'm happy bcz I feel nice teaching here..
Best place for General Studies prep. Almost all the faculties are awesome. Sriram sir sets the standard with his Polity and Economy lectures. Sir must have evaluated at least 10 answers of mine. Every day i have atleast 2-3 questions on latest developments. He patiently answers. Thanks all teachers of Sriram. Their non-teaching staff is so good. Good coaching institute for IAS preparation.